Did you make any new year’s resolutions for your skin? The best way to keep your skin looking and feeling its best is to start the year off with a goal in mind—such as reducing breakouts, minimizing wrinkles, or eliminating sun damage. Here are eight easy skincare goals you can make to have the best skin possible in 2018. As dermatologists, we recommend wearing a sunscreen with at least SPF 30 every day, even when it’s cloudy. Along with protecting your skin from sun damage and premature aging, you’ll also be proactively protecting your skin from skin cancer. In fact, one study showed that regular use of sunscreen can reduce the risk of melanoma, the most dangerous form of cancer, by up to 73%. In addition to wearing sunscreen every day, you should also make sure to apply the correct amount. If you don’t, you’ll only receive a fraction of the SPF promised by the sunscreen, leaving your skin more vulnerable to the damaging effects of the sun. For complete protection, apply one ounce of sunscreen to your body and a nickel-sized amount to your face. Washing your face before bed removes the dirt, sweat, and other impurities your skin comes in contact with during the day. If you wear makeup, washing your face before bed is especially important. Leaving makeup on overnight can lead to clogged pores, acne, and irritation. Making a consistent effort to wash your face every night before bed can reduce breakouts, prevent wrinkles, and keep your skin healthy. If you’re too tired to wash your face before bed, wash your face as soon as you get home for the day. That way, you’ll go to bed with a clean face without making your bedtime routine any longer than you want it to be. Many people make the mistake of only see a dermatologist if they have an immediate concern, such as a suspicious mole or problems with acne. However, an annual dermatologist appointment should be part of your yearly health and wellness routine. Dermatologist can evaluate your skin for symptoms including rashes, growths, and changes in texture or tone. These symptoms can be signs of underlying conditions such as adrenal diseases and autoimmune disorders, including psoriasis. Annual dermatologist appointments are also useful for getting all your skincare questions answered. From product recommendations to exploring treatment options, a dermatologist can help you with everything that has to do with your skin. At Arizona Dermatology, our skilled doctors and staff work hard to ensure that you leave your annual appointment feeling confident and knowledgeable about your skin. Moisturized skin is healthy skin. To keep your skin looking and feeling its best, you should moisturize at least once a day. Keeping your skin well moisturized is key in preventing wrinkles and dryness. The best time to moisturize your skin is immediately after a shower or bath, since warm water and steam open your pores. This allows the moisturizer to sink in faster and work more effectively. Even if you have oily or acne prone skin, moisturizing is still important. If your skin doesn’t respond well to moisturizers with thick and rich formulas, we recommend looking for thinner gel or water-based moisturizers that can give your skin the hydration it needs, without clogging your pores. Staying hydrated is just as important for your skin as it is for your general health. When you don’t drink enough water, your skin can lose elasticity and become dry. This leaves the skin more vulnerable to contaminants and irritation, including acne. Additionally, dehydrated skin can become irritated and itchy. In dry and arid climates, like Arizona, drinking water is even more important, as the lack of moisture in the air can dry your skin. Drinking water helps replenish the moisture that’s lost to the environment. A good way to make sure you’re getting enough water is to keep a water bottle with you all day, and take a few sips per hour. You can also choose to drink water during meals instead of drinks such as soda or juice. Your hands are one of the dirtiest parts of your body because of all the bacteria they come in contact with. Even if you wash your hands often, it’s easy to transfer germs to your face without even realizing it. Keeping your hands off your face as much as possible keeps pore-clogging oil, dirt, and bacteria from reaching the skin. This results in fewer breakouts and less potential for irritation. To fight the temptation to touch your face, try and keep your hands busy with a stress ball or other item that can serve as a distraction. If you still feel the urge, keep hand sanitizer nearby to use before you touch your face. Exfoliation is important because it removes the dead skin cells and debris off the surface of the skin. This encourages new cells to regenerate, revealing a new layer of healthy skin. While exfoliation has many benefits, over using an exfoliant can cause damage to the skin. If your skin is sensitive or if you’ve never used an exfoliant before, we recommend building up your tolerance by first exfoliating one time every week. After you’ve built up your tolerance, exfoliating up to twice a day can keep your skin in good condition and curb any potential problems. It’s often tempting to pop or pick at pimples. Oftentimes, many people believe that popping pimples helps them go away faster. However, popping pimples can actually cause scarring and increase the risk of breakouts. When you pop a pimple, all the bacteria inside of it is released onto your skin, creating potential breakouts in the surrounding areas. Additionally, popping a pimple causes your skin to work harder to heal the newly opened wound, which can result in scarring and hyperpigmentation. To keep from popping your pimples, cover them with acne covers. 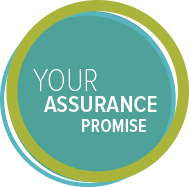 These hydrocolloid based bandages not only keep you from causing damage by picking at the pimple, but also help it heal quicker. To help your pimples heal even faster, topical acne medications containing ingredients such as salicylic acid and benzoyl peroxide can be effective. 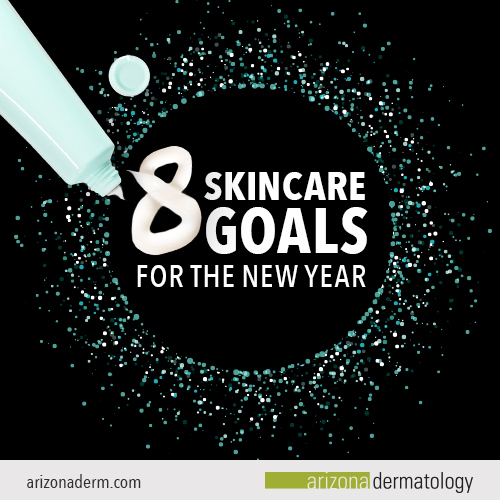 From scheduling an annual appointment or in-office procedure to recommending products and treatment options, Arizona Dermatology is your source for keeping your skin at its best all year long. Start your resolutions off on a high note and contact us today to get started.